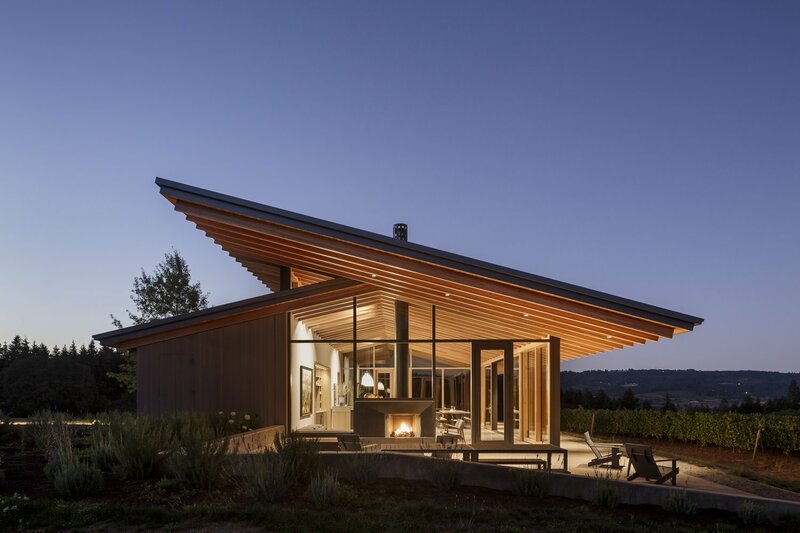 This contemporary style home really resonates with its surroundings in the Oregon countryside. 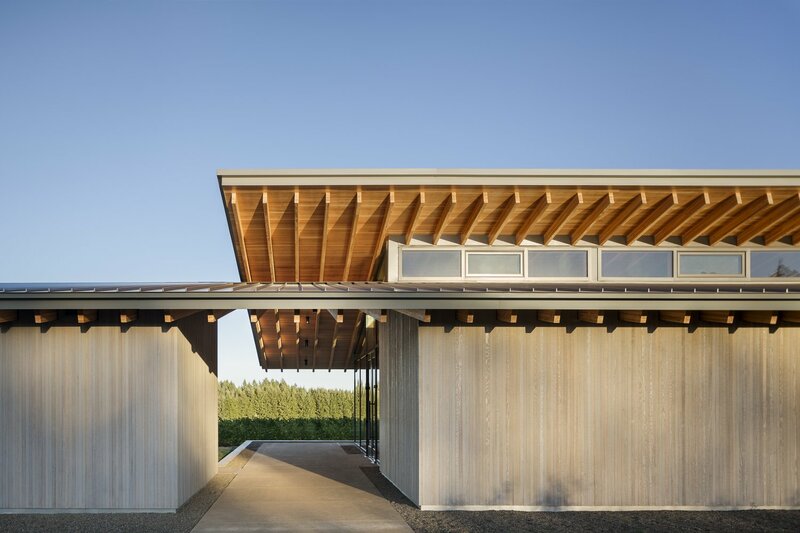 This clear resonance with the surrounding environment is most evident in the two cantilevered roof structures, which interlock like two tree branches, and stretch out to produce the same broad canopy as that of the Native Oregon oak trees which populate the surrounding valley. 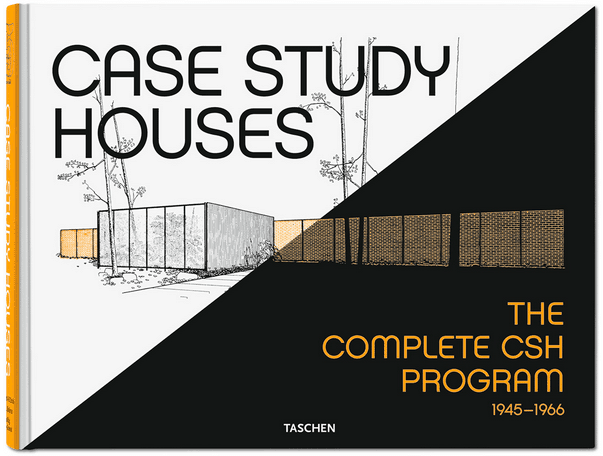 It is also, of course, expressed through the sheer openness of the design. 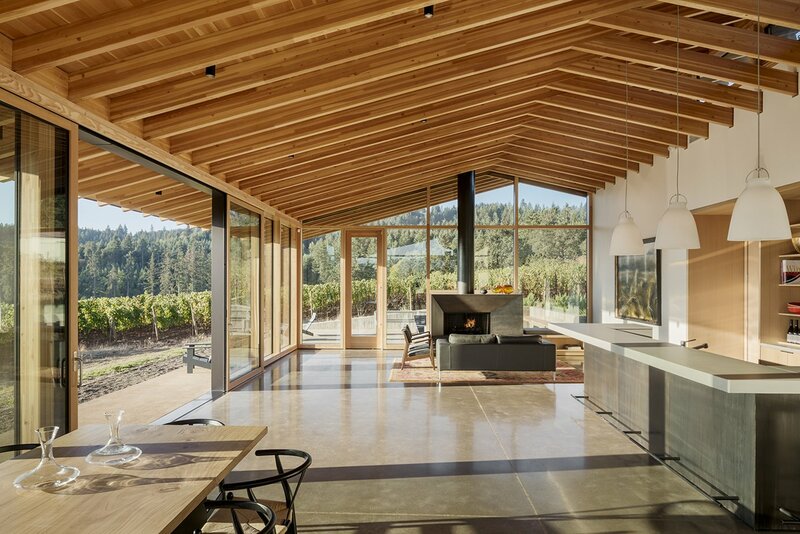 The structural wood glazing system sees floor-to-ceiling windows stretch continuously around three sides of the house. Directed towards the east, the space no doubt enjoys a spectacular sunrise in the morning, with full a view of the vineyard, as well as views of the valley to the north, south and east. Meanwhile, two large sliding doors allow the outdoors to really penetrate the central social space, which serves as the tasting room bar. Combined with the upper clerestory windows, this arrangement also serves as a passive cooling system in the summer. If you look closely, you can see that the materials used in the property really are of the highest quality. We especially appreciated the thin strips of wood used as cladding for the west-facing entrance side of the home (which nicely contrasts with the back side of the house by not including windows). But you can also see the quality in the beams which support the roof. 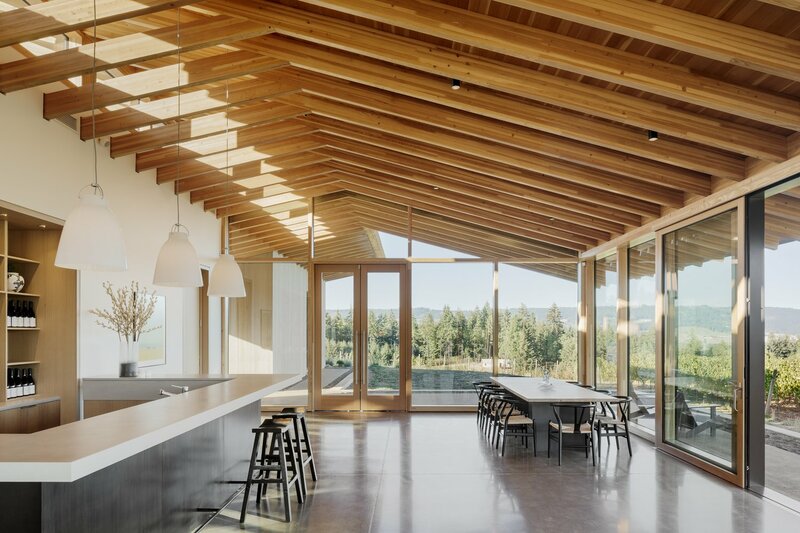 Such pared-down simplicity is a brilliant evocation of the rustic Oregon countryside. It’s really nice when a contemporary home design manages to sit so naturally in its environment.